The Legislative Council (LegCo) is Hong Kong's parliament. 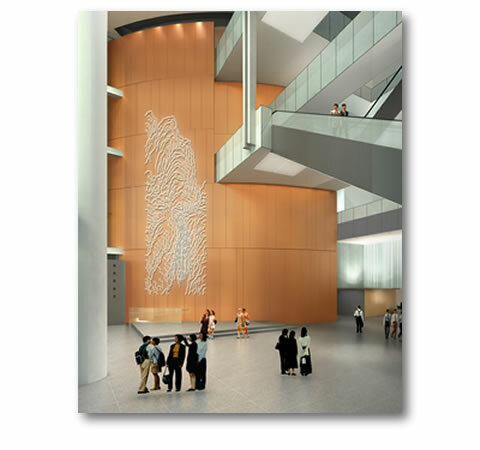 In 2010 the LegCo orchestrated an open call for artwork proposals for the new purpose built LegCo building at the heart of the new central government complex. 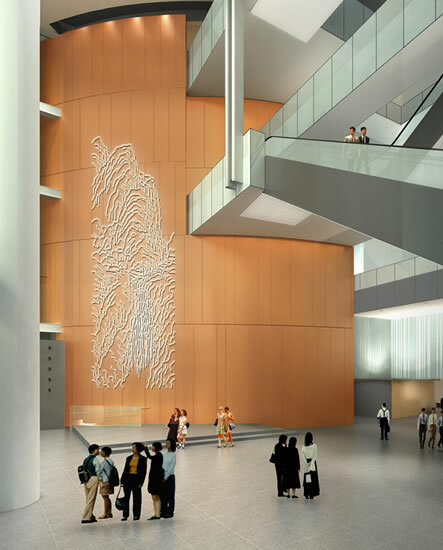 Jonathan Thomson’s LED Neon Sculpture “Mountain Water” was selected by the Adjudication Panel as the signature work of art for the main lobby but for the time being LegCo has decided not to proceed with the commission. “Mountain Water” is a massive 15 metre high x 5 metre wide Chinese landscape drawn in pure white neon light. “Mountain Water” takes as its inspiration illustrations of mountains and waterfalls from the Chieh Tzu Yuan Hua Chuan or Mustard Seed Garden Manual of Painting and combines them into one coherent landscape drawn in grand scale in pure white neon light. In “Mountain Water” type forms of mountains and of waterfalls are used to guide the composition but the work itself has a life of its own. It inherits the best of tradition through learning from it and re-presents it in an entirely contemporary way.